Rare diseases often have a genetic component, so the ability to model a genetic modification and study it in vivo is vital to understanding the disease's mechanisms and identifying therapies. As a leader in the custom development of genetically modified models, Taconic Biosciences is committed to applying our unique capabilities to advance rare disease research. We recently demonstrated that commitment by awarding a $50,000 package of integrated solutions to support research on Vici Syndrome, a rare and severe congenital multisystem disorder. Taconic Biosciences donated the award as a Corporate Sponsor and Ultimate Technology Sponsor of the 2015 Rare Disease Science Challenge: BeHEARD, hosted by the Rare Genomics Institute. The winning project was submitted by Michael and Rachel Harris, whose 9-year-old son David has Vici Syndrome. The award combines custom model generation, breeding and cryopreservation, leveraging a complete portfolio of capabilities that Taconic is uniquely suited to provide. 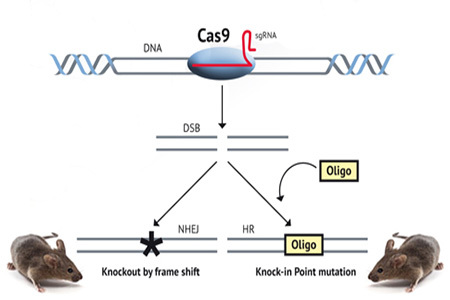 Our scientists will use advanced technologies like CRISPR gene editing to develop a model with the specific EPG5 gene mutation found in multiple families. To move the project quickly to the research phase, Taconic also will breed a cohort of mice for study use. Working on the project are two investigators with extensive experience with Vici Syndrome: Mathias Gautel, BHF Chair of Molecular Cardiology at King's College London BHF Research Excellence Centre, and Heinz Jungbluth, Reader and Consultant in Paediatric Neurology at the Children's Neuroscience Centre at St. Thomas' Hospital in London. Both view the Taconic model as essential to their work. Gautel indicates that the EPG5 gene offers no clues to its function and that the impact of the mutation is unpredictable - making a suitable model critical to unraveling the basic biology of Vici Syndrome, identifying therapies and screening compounds. Jungbluth notes the previous lack of suitable models that accurately replicate the phenotype seen in humans. He's hopeful the Taconic model will help conduct research leading to therapeutic approaches that can ameliorate some of the disease symptoms. That outcome would be a major step forward in the eyes of the Michael and Rachel Harris, who hope the resulting research yields a dramatically improved quality of life for their son and others with this debilitating disease.